Source: The Junior League of Lafayette, Inc, Tell Me More: A Cookbook Spiced With Cajun Tradition and Food Memories (Dallas: The Wimmer Companies, Inc, 1993), 86. Unlike other recipes, this one does not require pre-soaking or pre-boiling--just place everything in the crock-pot! In Southern Louisiana, the Monday Red Beans & Rice tradition continues; however, the cook usually starts them Sunday evening and this recipe is perfect for that. 01. Put all of the Base and Liquid and Seasoning ingredients into a crock-pot on Low setting; cover and cook for 6 to 10 hours. Check liquid level periodically; add water (or stock) if needed to cover the beans. 02. If there's too much liquid, remove cover and use High setting for several minutes; then cover and reduce heat to Low to cook for several more hours. 03. When served, beans should very tender. Remove bay leaves and bones. Ladle over the rice with a side of the sausage; garnish and serve. For an even leaner version, trim fat from ham. On the stove top, bring ham to boil and simmer for 10 minutes; skim oil from surface and pour the quick stock over the crock-pot ingredients. 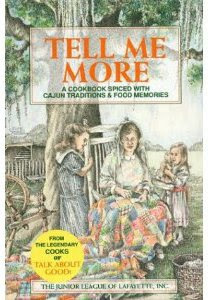 1 Source: The Junior League of Lafayette, Inc, Tell Me More: A Cookbook Spiced With Cajun Tradition and Food Memories (Dallas: The Wimmer Companies, Inc, 1993), 86.